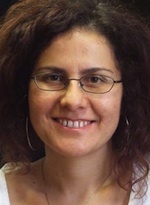 Dina Le Gall is an Associate Professor of History at Lehman College and the CUNY Graduate Center and the Coordinator of the Program in Middle Eastern Studies at Lehman. A specialist in Ottoman history and the history of Sufism, she is the author of A Culture of Sufism: Naqshbandis in the Ottoman World, 1450-1700 (SUNY Press, 2005) and, most recently, “Recent Thinking on Sufis and Saints in the Lives of Muslim Societies, Past and Present,” International Journal of Middle East Studies 42 (2010). Le Gall’s current project, “Sufism in History: Mysticism, Piety, and Saintly Power in the Lives of Muslim Societies” (under contract to Cambridge University Press) is a broad comparative study examining the history of Sufism in its varied dimensions as a mystical tradition, form of piety, and movement integral to the fabric of myriad Muslim societies. Among others she seeks to understand how for over a millennium and in many different locales Sufism created religious meaning and spoke to the concerns and aspirations of individuals and communities; how adherents became affiliated with it; how it intersected with other social formations; and how it shaped Muslim public space and helped create and sustain self-reproducing social orders. 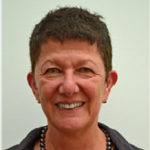 Le Gall received a Faculty Research Award of the National Endowment for the Humanities in 2009 and the Annemarie Schimmel Award of the Institute for Ismaili Studies in London in 2010. 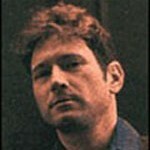 Richard Kaye is Associate Professor in the Department of English at Hunter College and and the Ph.D. Program in English at the CUNY Graduate Center. He is the author of “The Flirt’s Tragedy: Desire without End in Victorian and Edwardian Fiction.” He is completing a book, entitled “Voluptuous Immobility: St. Sebastian and the Decadent Imagination,” on the figure of St. Sebastian in painting, performance, literature, and film. He is also working on a study of Freud’s translator, the British psychoanalyst James Strachey. His articles have appeared in such journals as “Victorian Literature and Culture,” “Modernism/Modernity,” “Arizona Quarterly.” and “Modern Fiction Studies.” For 2010-2013 he is a Visiting Scholar at the Center for Psychoanalysis at Columbia University. Mara Einstein is the author Brands of faith: Marketing religion in a commercial age (Routledge, 2007), a critique of promoting religion in today’s consumer-oriented culture. This title was named a CHOICE Outstanding Academic Text in 2008. Dr. Einstein has been working in or writing about the media industry for the past 20 years. She has enjoyed stints as an executive at NBC, MTV Networks, and at major advertising agencies working on such accounts as Miller Lite, Uncle Ben’s and Dole Foods. Her first book, Media Diversity: Economics, Ownership and the FCC (Lawrence Erlbaum Associates, 2004), was the cause for much debate when research from this work was used by the FCC to redefine the media ownership rules. In addition, Dr. Einstein has written for Newsday and Broadcasting & Cable as well as having her work appear in numerous academic journals and edited texts. 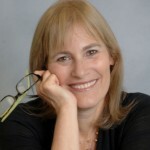 Her new book entitled Compassion, Inc.: How Corporate America blurs the line between what we buy, who we are and those we help (University of California Press) will be released in May 2012. This work examines the growing trend of promoting and selling consumer products as a means to fund social causes and effective social change. The fellowship marks the beginning of a new project that examines the political economy and marketing of faith-based fitness and weight-loss programs. She is an Associate Professor of Media Studies at Queens College, and an adjunct associate professor at New York University (Media Communications and Culture; Stern School of Business). When not at work, she can be found running, knitting and raising her 11-year-old daughter—though not necessarily all at the same time. Dr. Berna Zengin Arslan, a sociologist studying Islam and science. Her dissertation, “Pious Science: The GÃ¼len Community and the Making of a Conservative Modernity in Turkey,” examines how the Turkish Islamic Fethullah GÃ¼len community is engaged in reconciling science and modernity with religion. She plans to continue this research by focusing on the challenges for Islamic political discourse presented by issues of homosexuality, reproductive technologies, the headscarf issue, and woman’s role in the family. Zengin Arslan is the author of Women Engineers in Turkey: Gender, Technology, Education and Professional Life (Lambert Academic Publishing, 2010). A member of the sociology department at BahÃ§eÂ¸sehir University, Istanbul, she has expertise in the sociology of religion, gender studies, and the sociology of contemporary Turkey. She received a Ph.D. in sociology from the University of California, Santa Cruz. John is a doctoral student in sociology at the Graduate Center. He grew up in Bonn, the former capital of (West) Germany, and completed his undergraduate work in social sciences at Heinrich Heine University Düsseldorf. Prior to coming to the City University, he had short stints at the Social Science Research Center (WZB) in Berlin and the national secretariat of the Public Affairs Committee in Lilongwe, Malawi. John has taught sociology at Hunter College and Queens College, worked in policy research at the CUNY Central Office, and now is an instructional technology fellow in the Macaulay Honors College. His dissertation, advised by John Torpey, uses historical and ethnographic methods to explore the so-called “church-planting movement” and its efforts to remake the religious landscape of European metropolises. His research interests are in classical and contemporary social theory, the sociology of religion, historical sociology, political sociology and women’s studies. In the sociology of religion, John is especially interested in contemporary Protestantism, the history and spread of Christianity, secularism, religion and space, everyday life and religious practice, and the work of Georg Simmel. John is a contributing editor to The Immanent Frame, an academic blog about secularism, religion and the public sphere published by the Social Science Research Council, and an associate editor of Frequencies: a collaborative genealogy of spirituality. His work has appeared in The Immanent Frame and Killing the Buddha. Previously, John also received a Mellon pre-dissertation fellowship from the Council for European Studies. 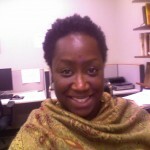 Akissi Britton is a doctoral candidate in the Anthropology Department at the Graduate Center (CUNY). Her research focuses on the intersection of race, religion, and gender in the Black Atlantic/African Diaspora. She is currently conducting dissertation fieldwork in Brooklyn, New York. Her dissertation examines religious authority and authenticity and the debates that arise between Afro-North American practitioners of the Cuban Lucumí tradition and the Nigerian Ifá-Orisa system. Her broader research interests explore how religious practices are shaped by the gender and racial dynamics within North American politics today. 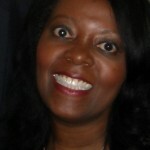 Ms. Britton was a recent CUNY Writing Fellow at Medgar Evers College (CUNY) and is currently a Fellow with the Mellon Committee for the Study of Religion at the Graduate Center. Actor, performance artist and theologian, Adrienne R. Lotson, Esq., a PhD candidate in Anthropology at the Graduate Center (CUNY), combines her training in the arts, theology and anthropology to offer a unique perspective on the ways the interactions of artistic and religious engagement create, affect and transform cultural production and the lived experiences of African American women. Her dissertation, “Don’t Make A Black Woman Take Off Her Earrings! : Women, Spirituality & Resistance on the Chitlin’ Circuit” explores how African American women utilize the work of director and playwright Tyler Perry for personal and social activism. She holds degrees from Dartmouth College, UC Berkeley, Boalt Hall School of Law, and the Interdenominational Theological Center (Atlanta, Georgia). Mira Niculescu has been a visiting Research Fellow at the Hebrew University of Jerusalem (HUJ) in 2009-2010, as well as a fellow of the summer 2011 Cross Currents Research Colloquium at UTS, for which she will publish in 2012 an article about the ‘Jewish-Buddhist’ phenomenon and religious pluralism. She has just published an article on the comparative symbolism of female shaved heads between Buddhist nuns and Jewish orthodox wives in the Religion and the body volume edited by the Döner Institute in Turku, Finland (2011). Other publications to come involve ‘Jewish Mindfulness’ as an offspring of Western Buddhism, following the ‘Buddhism without Borders’ Conference in Berkeley in 2010, the ‘jewish-Buddhist phenomenon’ and its conflictual aspects in France (to be published in 2012), and an article on ‘Rebranding Judaism’ in the ‘Religion in a neo liberal Age’ book project following the summer 2012 ISSR conference. 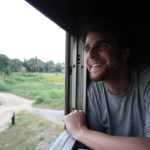 Adam Possamai grew up in Belgium where he studied to become a sociologist and a high school teacher. After some exposure to North Africa, he came to La Trobe University to do his PhD where he started to teach an introductory sociology unit. Since the completion of his PhD, which won a national award in 1999, he has worked at the University of Western Sydney and taught many sociology units. His specialities are the sociology of religion, sociological theory and the study of popular culture, and has published widely on these research themes. He is currently the Acting Director of the Research Centre for the Study of Contemporary Muslim Societies, and Associate Professor in Sociology, and the President for the Sociology of Religion Research Committee from the International Sociological Association. He is the author of Sociology: A Down-to-Earth Approach with James Henslin and Alphia Possamai-Inesedy (Pearsons, 2010), Sociology of Religion for Generations X and Y (Equinox, 2009), Religion and Popular Culture: A Hyper-Real Testament (Peter Lang, 2007), In Search of New Age Spiritualities (Ashgate, 2005) and the fiction book, Perles Noires (Nuit d’Avril, France, 2005). His work has been published in English, French, Spanish, Romanian and Slovakian.